Ten Minutes of Connecting: Day 11 – What Do We Need from Our Professional Learning Network (PLN)? Below we refer to ZITE and Flipboard. 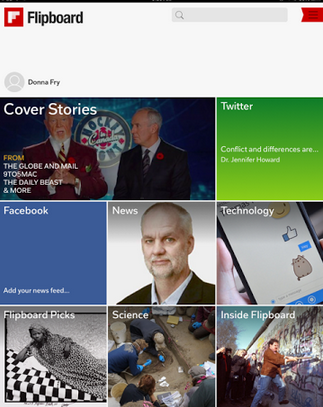 Flipboard has purchased Zite, and all Zite content needs to be migrated to Flipboard by Dec. 7. 2015. Recently we have been discussing some of the tools that help us collect and share information online. As we dig deeper into the concept of “curation” this week, it’s a good time to review why we are doing this – why setting aside time every day to connect with other educators in our PLN is so vital to our practice, and to the learning experiences of our students. Last year, Tom Whitby (one of the co-founders of #edchat) wrote a passionate piece on The Connected Educator Culture. Reading it is well worth your time as you become a connected leader. Silvia Rosenthal Tolisano explores this thinking further in the Langwitches Blog. Getting connected is an intentional practice. It challenges our thinking about our practice and helps us engage in further learning. As a connected learner, what do you ask of your PLN? How are you connected to the constant flow of resources? 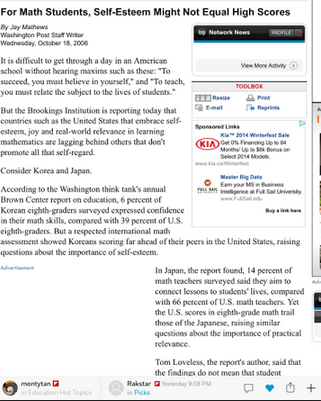 In the list above, “customized magazine style RSS readers” is mentioned. Often on Twitter, you will see a number of items shared from the personalized magazine “Zite“. Zite is a much-loved personalized news service with the connected educator crowd. About eight months ago, Zite was purchased by Flipboard, a similar app. Both products stream to your device the newest articles on the topics you choose. As you “like” specific items, the algorithm continues to target your interests more precisely, while still maintaining access to headlines. While Zite is still available, and Flipboard has promised to provide a process to migrate your information to Flipboard when Zite is cancelled, if you are not currently subscribed, it seems wise to start with Flipboard. After downloading the app to your device, follow the simple instructions to sign up. If you link your account to your Twitter account, you can share directly to Twitter from Flipboard. 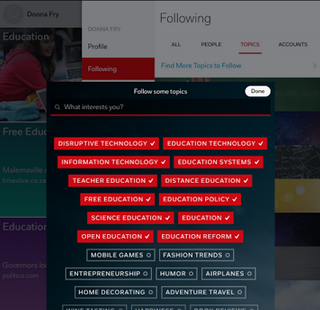 Begin by choosing some areas of interest to start the feed. 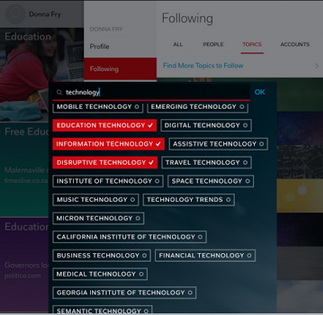 Instantly your customized feed becomes available. As you look at the articles provided, “like” those that you find valuable to your learning by clicking the heart in the bottom right corner. 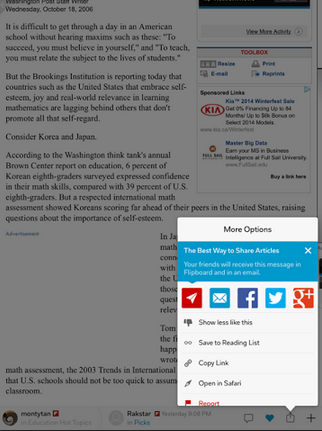 Explore the options to share directly from the article. Many connected educators have made it a habit to spend a few minutes each day, reading a customized feed like Zite or Flipboard, and sharing what they discover with their PLN. If you are already reading and sharing, what is your favourite service or app? How did you establish your routine of reading and sharing? What advice do you have for those just starting to build their PLN?